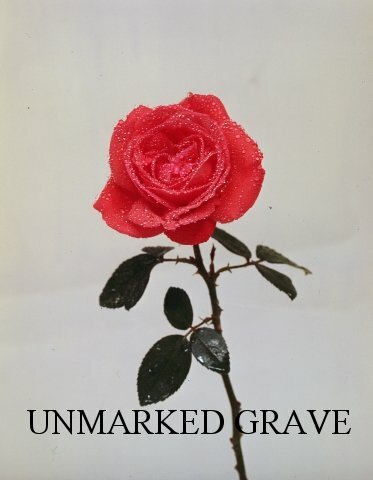 1) A single rose beside a burial listing indicates an unmarked grave. If you find that your family member is unmarked and you wish to place a marker, please contact the Lee Mission Cemetery Board to discuss your options and to notify them of your intent. 3) The number to the right of the death date is the burial plot number and can be used in the plot search option to find out who is buried in adjoining plots. 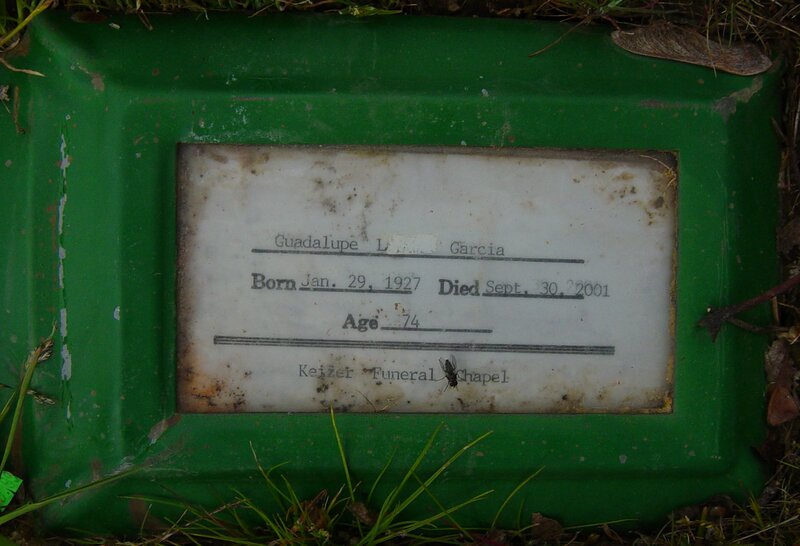 An N/A in the plot location indicates that although the individual is known to have been buried in the cemetery, the exact location is not known at this time. All additions and corrections are appreciated and can be sent to stephenie@leemissioncemetery.com. NOTICE: The content of this website is provided for individual use. Commercial use is prohibited per copyright and plagarism laws, as is copying the website to another location. "Gainey--At the Oregon Hospital for the Insane, Salem, Oregon, October 7, 1907, Michael Gainey, aged 71 years of organic heart trouble. "Mrs. Clara Gaiser, 88, 882 20th St NE, died Saturday at a Salem hospital. A native of Fond du Lac, Wis., she lived in Salem since 1933 and was a member of First Evangelical Church of North America. "Matthew Mark Gaiser, 95, of 5210 River Road N, died Sunday at a Salem hospital. Born in Wisconsin, he came to Salem from Spokane, Wash. in 1933. He was a member of First Evangelical Church of North American. Surviving are sons Gerald, Salem, and Lester; daughters Stella Boyles and Murial Robinson; one sister; seven grandchildren and six great-grandchildren. "May Galarneau, 69, of 3845 D St. NE, died Sunday. Born in Portland, she came here in 1947. She was a maintenance worker and chef for several care facilities. Survivors include her daughters, Helen M. Thompson, Chula Vista, Calif., and Kathleen R. Stoddard, Citrus Heights, Calif.; and son, Lloyd W., Yolo, Calif.
"Gardner--At the family home, 576 N. Church street, Friday, July 12, 1912, Edna V. Gardner, aged 18 years. 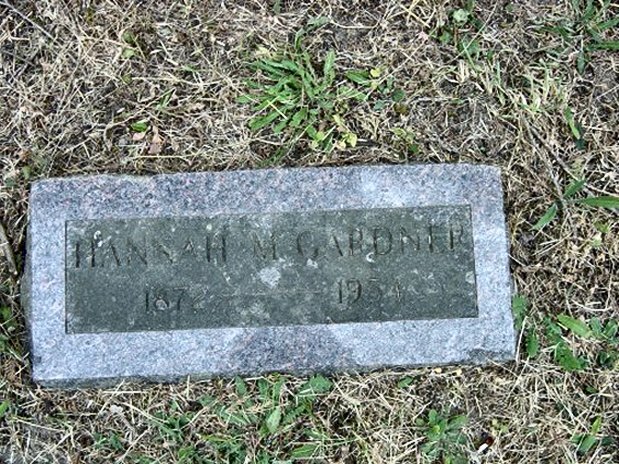 "Rites Planned Wednesday--Mrs. Hannah M. Gardner, 84, a Salem resid-ent since 1890, died Sunday afternoon in her home at 712 N. Church St.
Born Nov. 25, 1870, in Dayton, Ohio, Mrs. Gardner lived in Wisconsin and Kansas before coming to Oregon. She was employed in the old Cook House in Salem before her marriage in 1891 to the late John Gardner. After their marriage, she and her husband managed the Argo Hotel. They moved to Gates after retiring, and Mrs. Gardner returned to Salem after the death of her husband. 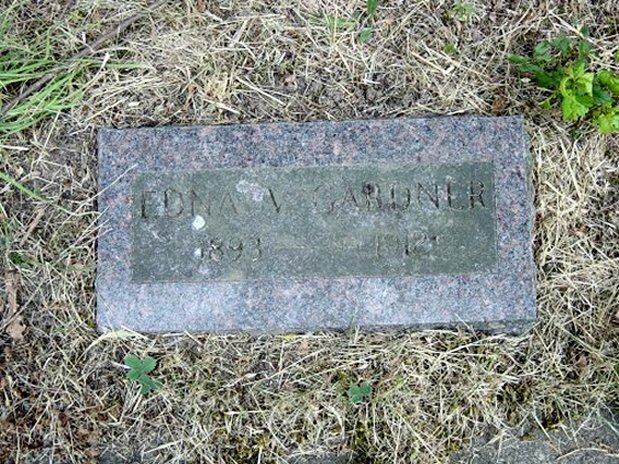 Mrs. Gardner made her home for many years at 576 N. Church St. She is survived by a half-sister, Mrs. Amanda Clodfelter, Albany. "At Cook's hotel, at 12:50 p.m., Saturday, Nov. 7, 1891, of heart trouble and pneumonia, S. W. Gardner, aged 72 years. "Gardner--At the family residence about four miles south of Salem on the Turner road, Tuesday morning, May 26, 1891, of congestion of the brain, Mrs. S.A. Gardner, aged 59 years. The funeral services of the deceased will be conducted from the residence at l o'clock p.m. today (Wednesday), and the remains will be laid to rest in the Lee Mission cemetery." OS May 29, 1891 12:2 Inscription from broken headstone in caretaker's shed. "In this city, at about 9 o'clock last (Wednesday) evening, Mr. Gardner, an old man who has been keeping `bach' back of Pat Foley's, died. "Pneumonia Fatal To Salem Infant--Ronald C. Garner, 7-month-old son of Mr. and Mrs. Gilbert E. Garner, 815 Chemawa Rd., died Monday at a Salem hospital of pneumonia. He was born July 10, 1954 in Salem. "Geigentosch--At the family home, 1136 N. 17th street, Englewood addition to Salem, Oregon, Thursday, May 20, 1909, Mrs. Louisa Geigentosch, aged 80 years of heart failure. "SALEM - Longtime Salem resident William "Bill" John Gentzkow died from a stroke on Saturday, November 12, 2011 just short of his 94th birthday. Bill was born on January 1, 1918 in Miami, Arizona, the third of four boys of Sidney and Margaret Miller Gentzkow. Shortly after, the family relocated to Portland then Salem where he graduated from historic Sacred Heart Academy in 1937 and briefly attended Mt. Angel College. Bill served in the Civilian Conservation Corps during the Great Depression and was active with the Salem Softball League before and after World War II. Three of the four Gentzkow boys played on the same team, with Bill at shortstop and 2nd base. The love of his life, Eileen Maryanna White, the daughter of Florance and Loren White, became Bill's wife in 1940. He moved with Eileen and the first two children to California and was stationed at Camp Roberts in the Quartermaster Corps. After the War they returned to Salem where they built a house and he worked for Keith Brown Lumber followed by a long career at the Salem Post Office from which he retired as Supervisor at the West Salem branch after 28 years. Eileen also retired as accountant with the Mental Health Division, and the two set off on great adventures, traveling much of the world including most of the United States. They drove their motor home to every national park in the country. They also visited some of their children abroad, lived at the Oregon Coast for several years, and returned often to their favorite city, Paris. Bill and Eileen made Salemtowne their permanent residence where Bill was an avid and accomplished golfer. He also loved to travel, fish, garden, walk in the woods, root for the Oregon Ducks, and spend time with Eileen at their home on the Oregon Coast. From youth on he fished the Metolius River, one of his cherished places in the world. He delighted in the fact that the Camp Sherman store was exactly his age. Bill also helped to build and maintain a cabin near Detroit Lake for fifty years where members of the family spent many happy times. Bill was faithful to his family and his Creator, a member of St. Joseph's Catholic Church in Salem for his entire life. Bill and Eileen have four children, ten grandchildren, and seven great-grandchildren who will love and miss him forever. He is survived by his devoted wife of 71 years, Eileen, three sons, William Frances, Gary David (Barbara) and Michael Louis Gentzkow (Kathy) and his only daughter Margaret (Margie/Maggie) Schneider; grandchildren Martin (Valerie) Gentzkow, Erik (Lora) Gentzkow, Karsten (Melanie) Gentzkow, Hauke (Amy) Gentzkow, Dana Schneider, Megan Schneider-Ajahk (Ahmad), Matthew Gentzkow (Aude), Michael Gentzkow, Jordan (Jessica) Gentzkow, and Lindsey Gentzkow and by his great-grandchildren, Lauren Le Meiux, Linden, Jasmyn, Kaleb, Mili, Julien, and Audri and numerous nephews and nieces. He delighted in them all. "Ica Elizabeth Gerard, 51, Salem., who died Friday, was a lifelong resident of Linn and Marion counties. She spent her youth in Brownsville where she was born, and lived about a decade each in Sweet Home and Lebanon before coming to Salem 16 years ago. She was a member of Glad Tidings Assembly of God Church. She lived at 350 Belmont St. NE. Survivors are daughters Mrs. Jack Weller, Lebanon, and Mrs. Jon Jens, Salem; sons Alex Davis and Richard Davis, both Lebanon; brother Fred Kirk, Corvallis; 11 grandchildren. Thy trails are ended, thy rest is won. "Geering---At his home, four miles east of Salem, from cancer of the face, Sunday morning, April 16, 1893, Hiram Geering, aged 73 years. "Garnet L. Gibson, 51, of Salem died Sunday in Salem. A native of Salem, she had been a resident here all of her life. She married M. David Gibson on Aug. 28, 1955, in Salem. She was a secretary in the Oncology Department at Salem Hospital for 23 years. She was a member of Pythian Sisters and American Legion Auxiliary. She enjoyed crafts and camping. Survivors include her husband; parents, Clarence and Virginia Bergman of Salem; sons, David S., Clarence M. "Skip", and Robert D., all of Salem, and Gregory S. of McMinnville; daughters, Shelly J. Hunt of Roseburg, Brenda L. Bigej of Kent, Wash., Tamara Gibson and Tracie Gibson, both of Salem; brother, Clarence O. Bergman Jr. of Salem; sisters, Virginia A. Kimball of Salem and Marian R. Tallman of Beaver Creek; and eight grandchild-ren. Services will begin at 10:30 a.m. Wednesday in Howell-Edwards-Doerksen mortuary. Interment will be in Lee Mission Cemetery. "NEWBERG - Marion David Gibson of Newberg died Friday, March 8, 2013 at 81 years of age. Services will be held at 11:00 a.m., Friday March 15, 2013, at West Chehalem Friends Church, 16700 NE North Valley Road, Newberg, Oregon. Private interment will be at 3:00 p.m. at Mission Lee Cemetery, Salem, Oregon. "Tragedy Victim's Funeral Is Held--Funeral services for Dorothy Jean Gilchrist, age 6, who was fatally burned Saturday morning at the home of her parents, Mr. and Mrs. Andrew Gilchrist of Wheatland, were held Monday afternoon at the Terwilliger funeral home here, Rev. Guy Drill of the First Christian church offici-ating. Dorothy Jean was playing about the fireplace at the home Saturday about 8 o'clock when a gunny sack costume which she had worn at a Thanksgiving program caught fire. Her screams quickly drew attention of her mother, who was in another room, but by the time Mrs. Gilchrist arrived the child was ablaze from head to toe. The little girl was rushed to the hospital here, but injuries were too severe and she died shortly after the noon hour. She was conscious nearly to the last. "George B. Gillespie, 78, of 1030 21st St. NE, died Sunday in a Salem nursing home. A native of North Dakota, he had lived here many years. He was a retired farmer and nurseryman. Surviving are widow Helen W.; daughters Mrs. Bernice Trigg, Portland, and Arda Gillespie, Salem; sisters Mrs. Devina Bennett and Mrs. Marge Gunderson, both in California; brother Charley, in Alberta, Canada; one granddaughter. "Helen W. Gillespie, 82, of 1030 21st St. NE, died Tuesday in a Tigard nursing home. She was born in Ferndale, Calif., and came to Salem in 1942 from Arago, near Myrtle Point, where she taught school for many years. She also taught in Salem public schools. Survivors include daughters Bernice Trigg, Portland, Arda Gillespie, Salem; sisters Mrs. Stanley Currie of Princeton, B.C., Canada, Lucille McGee of Drumheller, Alb., Canada, Rachel Gayson, Woodburn, Ruth Woodward, Mesa, Ariz., Evelyn DeMoss, Brookings, Edith Root, Grenada, Calif.; two grandchild-ren. "Orlo M. Gillett, 79, 1655 Nebraska NE, died Friday at home. Born in Ohio, he came to Salem in 1959. He was a traffic manager for Jenks-White Wholesale Seed Co. for 30 years until he retired. He was president of the Salem Sports Breakfast Club and a member of Engle-wood Methodist Church, North Salem Lions Club and Willamette University's Cardinal Round Table. He was a 1924 graduate of Willamette. He was active in Boys Club work and a trophy is given in his name each year to the outstanding high school baseball player. He was part owner and a member of the board of the Salem Senators in 1978 and 1979. 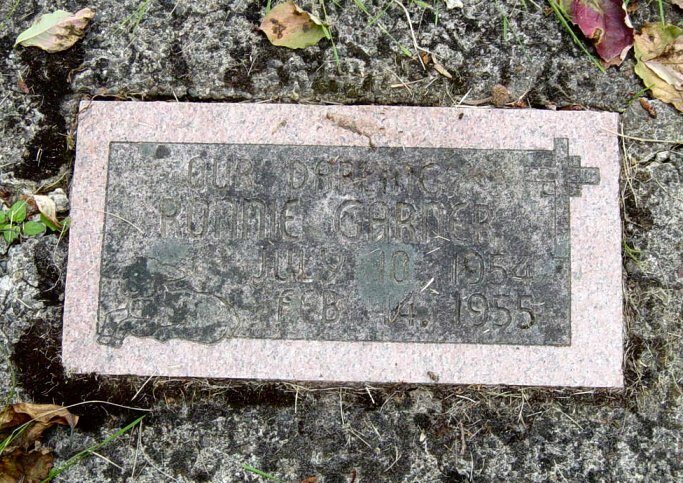 He is survived by sons, Alan D., Junction City, Paul E., Salem, brother, Ira Gillett, Milwaukie, sister, Bessie Murray, Scappoose; three grandchildren, several nieces and nephews. "Richard Gillis, 70, of Salem died Sunday in Tillamook. An Alabama native, he served as a naval aviator during World War II. He earned a bachelor's degree in business administration from Tulane University in 1952, a master's degree from University of Pennsylvania in 1954 and a doctorate from the University of Oregon in 1962. He was a professor of economics at Willamette University from 1956 until retiring in 1989. While at Willam-ette, he helped establish ties with the ICC College of Japan and led the first group of exchange students to Japan. He also helped to establish the Atkins Graduate School of Manage-ment. He enjoyed reading and traveling and volunteered for Meals on Wheels. Survivors include the wife, Phyllis L.; daughter, Laura Daniel of Salem; son, Peter of Jacksonville, N.C.; mother, Ruth Sullivan of Salem; and one grandchild. that whoever believes in him should not perish, but have everlasting life. "Florence Evelyn Gilman, 67, of Portland, formerly a resident of Salem, died Friday. She and her husband were active in the ministry and she was active with the Wycliffe Bible Translators. Among survivors, in addition to her husband, Harold, are a sister and a brother in Salem, Prudence Reed and Eldon Foster. Visitation will be from 8 a.m. to 8 p.m. today and 8 to 10:30 a.m. Wednes-day at the Gable mortuary, 225 NE 80th St., Portland. Memorial services will be at 11 a.m. Wednesday in the Glisan Street Baptist Church, Portland, and interment at 3:30 p.m. Wednesday in Jason Lee Cemetery, Salem. "Clara Gilmer, 79, of 755 Norman Ave. NE, died Tuesday at a Salem nursing home. Born in Salem, she was a lifetime resident of the area. She attended Illahe School. She was the daughter of Mr. and Mrs. Fred Feller, pioneers in the Turner area, and was one of 11 children. She was a member of Court Street Christian Church. Survivors include daughters, Donna Armstrong, Salem, Jean Garrett, Portland; sisters, Mary Litchfield, Salem, Frances Hoss, Palm Springs, Calif.; brothers George and Clifford Feller, both of Salem, Wilfred Feller, Newport; five grandchildren. Services will be at 1:30 p.m. Friday at Virgil T. Golden mortuary with interment in the Lee Mission Cemetery. "Graveside services for Emmett Lloyd Gilmer, 78, of Salem, who died Friday, will begin at 2 p.m. Tuesday in Lee Mission Cemetery. He was born in Salem and lived most of his life in Salem. He was a World War II Army Air Corps veteran. He worked in a lumber mill and was a mechanic. He was a member of the First United Methodist Church. Survivors include his son, Steve of Salem; daughter, Kathy Woods of Roseburg; and sisters, Faith Morris; Hope Turnbull, and Ruth Feller, all of Salem. Howell-Edwards-Doerksen mortuary is in charge of arrangements. "John W. Gilmer, 67, died Thursday of an apparent heart attack at his home, 755 Norman Ave. SE. He had lived in Salem since coming here as a small child from North Dakota. He was a retired mechanic and a member of the Court Street Christian Church. Surviving are the widow Clara; daughters Mrs. Donna Armstrong, Salem, Mrs. Jean Garrett, Portland; brothers Paul I. and Lloyd E. Gilmer, Salem, Earl Gilmer, Sacramento, Calif.; sisters Mrs. Ruth Feller, Mrs. Faith Morris, and Mrs. Hope Turnbull, all of Salem; five grandchildren. "John Givens Dies in Hotel--John H. Givens, 66, was found dead in his room Thursday at the Hotel Morris, 459 State St., city first aidmen said. Police said evidence indicates death was by natural causes. According to officers Givens had lived at the hotel the past five years. There are no known survivors. "Mary Glasgow, 78, Dies Wednesday--Mrs. Mary Lou Glasgow, 78, died Wednesday at her home, 1235 N. 16th st., after residing in Salem for 35 years. The funeral will be at 3 o'clock Friday afternoon in the Clough-Barrick chapel, interment following at Lee Mission cemetery. "Gleason--At the family home in South Salem, Thursday evening, Sep-tember 2, 1909, Orin Gleason, aged 4 months, the little son of Mr. and Mrs. F.A. Gleason. "Aged Resident Dead--W.A. Gleason Passed Away After A Lingering Illness--W.A. Gleason died at his home on Nebraska street, this city, at 6 o'clock Monday evening, after a lingering illness of Bright's disease, aged 79 years, 6 months and 15 days. Deceased was born in Worcester county, Massachusetts, on October 28, 1822. In June, 1857, he was married to Miss Lydia E. Lucore, at Cedar Rapids, Iowa, and in 1864 crossed the plains to Oregon, settling near Pendleton, where he engaged in stock raising, very extensively and profit-ably, and remained there until about sixteen years ago when he moved to the Willamette Valley, Polk county, and came to Salem about three years ago where the family has resided since. Seven children were born to Mr. and Mrs. Gleason, only one of whom, a son, Frank Gleason, is living, and resides in this city. "Gleason--At the family home on Rural avenue, South Salem, the son of Mr. and Mrs. Frank Gleason, aged 13 months. "Miss Gobely's Body Is Found--The body of Miss Lena Gobely, 51 years old, for whom a search of nearly a month had been made, was found in Mill creek Saturday afternoon about 4:30 o'clock. Miss Gobely disappeared from her home, 645 South 25th street, March 1. The body was found by Donald Brooks, 464 South 24th, about 100 feet below the 25th street bridge. As far as possible Mill creek had been drained a week ago in an effort to find the body, it having been suspected that Miss Gobely had ended her life in the stream. Her brother, G.C. Gobely, who is her only survivor, offered a reward of $100 for the finding of the body. "Goin--At his home, Twentieth and Lee streets, October 26, 1913, Benjamin F. Goin, 78 years. Two sons, W.M. and Benjamin, of this city, and two daughters in Missouri survive him. "Earl A. Gooch, 79, of Salem, died Friday. 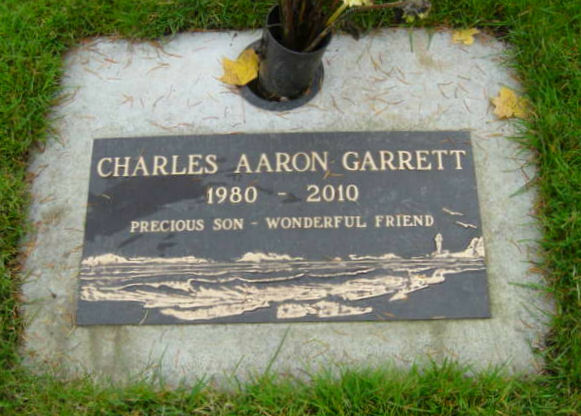 He was born in Gooch and was a lifelong Oregon resident. He also had lived in Mill City, Klamath Falls and Portland. He and his wife, Frieda, were married 59 years. He had worked with his father in the logging business and as an estate and tax consultant for Manufacturer's Life Insurance Co. He was a member of the Pacific Masonic Lodge. Survivors include his wife; daughter, Twyla E. Cloyd of Portland; sister, Sylvia Stevenson of Mill City; and one grandchild. 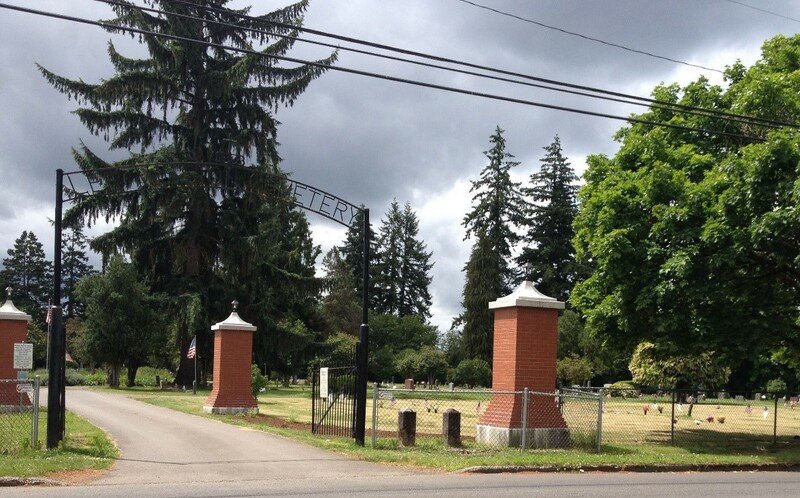 Private family graveside services will be held in Lee Mission Cemetery, Salem. Arrangements are by Virgil T. Golden mortuary. "Goodwin--At a local hospital at midnight, March 26, Sarah E. Goodwin, age 73 years, a resident of the Old Peoples home. "Gordon--Milliard Gordon, the infant son of Mrs. Clare Gordon, at 1325 Hines street, September 4, aged 1 year, 8 months. "Arlene M. Goss, 92, died Thursday in Salem. She was born in Potsdam, N.Y She had been a resident of Salem since 1983, having moved from Santa Ana, Calif. Survivors include her sister, Illiah May Crawley of Santa Ana, Calif.; and brother, Leslie W. Brown of Salem. "R. Alice Gould, 75, Salem, died Thursday. 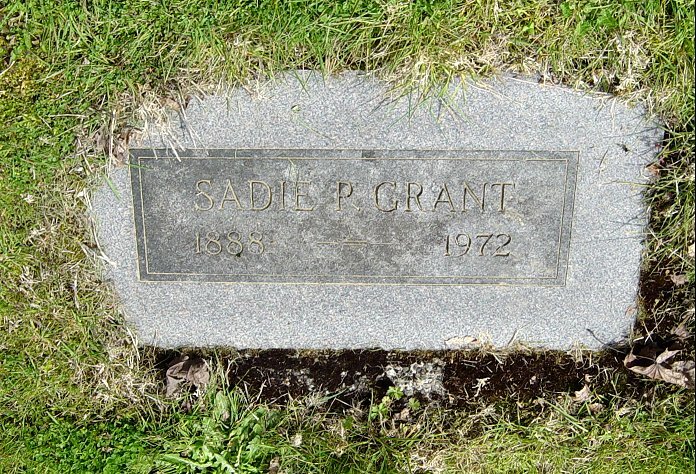 Born in Momence, Ill., she had lived in Salem for 10 years. She had worked for U.S. Forest Products Research Labs in Corvallis. Survivors include her sons, Rodney J. and David, both of Salem; and sister, Nell Karschnick, of Arkansas. Graveside services are pending under the direction of Virgil T. Golden mortuary. Private interment will be at Jason Lee Mission Cemetery. The casket will be open 5-9 p.m. Saturday and 9 a.m. - 9 p.m. Sunday in the visitation room of Virgil T. Golden mortuary. "The Rev. Rodney C. Gould, 82, of 3307 Orndale St. NE, died Thursday in Salem Hospital Memorial Unit after an illness. He was born in Sandusky, Ohio, and had lived in Salem 10 years. 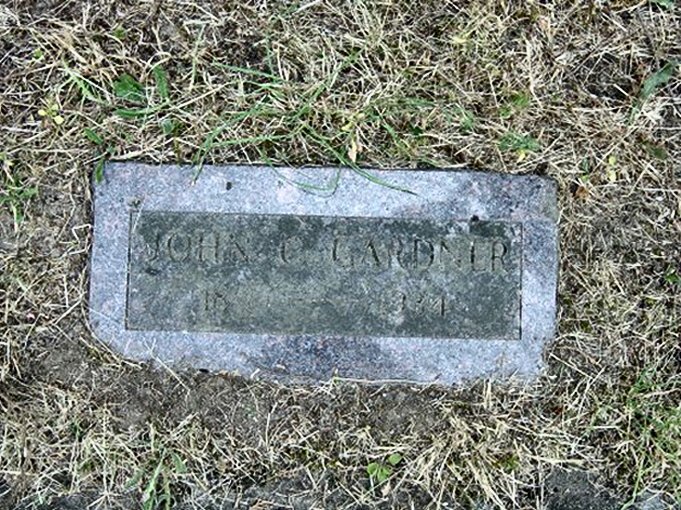 He was a World War I veteran and a graduate of the University of Chicago and Northern Baptist Theological Seminary, Chicago. For 32 years he was a pastor in Mid-west and Oregon churches, including the First Baptist Church, Corvallis, from 1950 to 1954. He and his wife, Alice, celebrated their 50th wedding anniversary June 24. Survivors, in addition to his wife, include his sons, David J. and Rodney J., both of Salem; sisters, Elsie G. Patterson, Pontiac, Mich., and Flor-ence Thomas, Canton, Ohio; and 10 grandchildren. Memorial services will be at 2 p.m. Monday in the Lancaster Bible Church, and private interment in Lee Mission Cemetery, under direction of Barrick mortuary. "At the Florence Sanatorium, Salem, Oregon, Thursday, May 16, 1901, at 9 a.m., Mrs. Anna Graber, wife of Peter Graber, of this city. "Death Claims Emile Graber--Emile Graber, 76, a native of France and resident of Salem since 1888, died Monday at the home, 2145 Market St.
Born in France Nov. 4, 1879, he came to this country as a child and lived in Kansas for a time prior to coming to Salem. Graber engaged in farming for a number of years and prior to that was employed by the water department here. Survivors include the widow, Mrs. Minnie Graber, Salem; two sons, Leo and Raymond Graber, both of Salem; two sisters, Mrs. Martha Brown, Bend, and Mrs. John Meals, Seattle; three grand-daughters and one great grandchild. "Minnie Graber, 89, of 2145 Market St. NE, died Monday at a Salem nursing home. Born in Ogden, Utah, she lived in Salem 73 years. Her husband Emile died in 1956. Survivors include son Raymond of Salem; three grandchildren and eight great-grandchildren. "Peter Graber Ends His Life--He Hangs Himself With Rope At His Own Home.--Anniversary of Wife's Death--His Son, Looking For Him, Finds His Body Suspended From Rafter in the Barn.--Calls to Daughter to Get Up and Get Breakfast, Then Goes to Barn, Where He Commits Himself to Eternity--No Cause for the Deed Known.--At almost the same hour of the day, and just four years from the date of the death of his wife, Peter Graber yesterday morning ended his life by hanging at his home at the southeast corner of Fourteenth street and Nebraska avenue, in this city. The deed was committed at about 6 o'clock and the body was found about fifteen or twenty minutes later by the suicide's son, Emil Graber. No cause can be assigned for the rash act, but it is supposed Mr. Graber had become temporarily affected in mind from the continuous brooding over the loss of his wife. He had also suffered from an attack of lagrippe during the past few weeks and up to last Monday has been unable to work. Shortly after 5 o'clock yesterday morning Mr. Graber arose and went to the kitchen, where he built a fire and made other preparations for the family breakfast. He then stepped to the foot of the stairway, and as was his usual custom, called his eldest daughter, a girl of seventeen, saying: `My little Martha, come on.' It is thought the father then went to the barn and ended his life, as he had left the house when the young daughter came down stairs a few moments later and was not again seen alive. Emil Graber got up about twenty minutes after his father and went out into the yard to cut some grass for a pet deer. Upon going to the barn to feed the deer he noticed his father's slippers standing at the foot of a ladder leading to the hay loft. Failing to receive a response to his calls he went upstairs and was horrified to find the lifeless body of his father hanging at the end of a rope, the other end of which had been tied to a crosspiece on the rafters. The son at once gave the alarm, but the body was not cut down until the arrival of Coroner Clough, who did not deem it necessary to hold an inquest. How Deed Was Done--The general surroundings in the loft of the barn showed that the suicide stood on a small box while he fastened one end of the rope to the timbers above and after making a noose and placing it around his neck he stepped off the box and slowly strangled to death. When found his feet were within a few inches of the barn floor and his heels touched the side of the box from which he had stepped. Mr. Graber had at no time given an intimation of his intention to commit suicide, except that he made known his business affairs to his children on Thursday, saying he wished them to be conversant with his affairs so that they could more easily manage them in the event that he should be taken away suddenly. The deceased came to the United States from France in 1891. After spending three years in Kansas he came to this city, where has since resided. He was aged 64 years, and leaves four children, Peter and Emil Graber, both of whom have attained the age of majority; Martha, aged 17, and Leona, aged 11 years. "Luther M. Graham, late resident of Mill City, at a local hospital June 18, at the age of 89 years. Graveside services will be held Saturday, June 23, at 10:30 a.m. Interment will be in the Lee Mission cemetery, under the direction of Clough-Barrick chapel." "Tillamook--Megan Vanessa Graham, seven-year old daughter of Mr. and Mrs. Kenneth Graham, Tillamook, died Wednesday at home of leukemia. Besides her parents, she is survived by grandparents, Mr. and Mrs. Richard L. Cooley, Salem, and Mrs. LeRoy Loisell, Falls City; great-grand-parents, Mrs. Ralph H. Cooley and Mr. and Mrs. Robert L. Turley, all of Salem. "Grannis---In Salem, Oregon, Monday September 27, 1909, Mrs. George W. Grannis, aged 63 years. "Rev. Gannis Laid To Rest Beside Wife--Funeral services for the late Rev. George Washington Grannis were held at 1:30 o'clock Wednesday afternoon with Rev. Fred C. Taylor, pastor, and Dr. D.H. Leach, district superintendent, in charge, assisted by members of the G.A.R. Interment was in the Jason Lee cemetery. Rev. Grannis died at his home in Turlock, Calif., Friday night and was laid to rest beside his first wife. Rev. Grannis was born at Hannahs-town, Butler county, Penn., August 24, 1947 and enlisted with Company E. 193rd Pennsylvania Volunteer Infantry when he was only 16 years old, being mustered out of service at Pittsburgh in November, 1864. Shortly after he moved to Missouri with his parents and was licensed to preach and later ordained by the St. Louis conference of the Methodist Episcopal church. In 1872 he went to Arkansas and in 1874 was transferred to the Pacific north-west, became pastor of the Methodist church at Walla Walla, Wash., spending 14 years in eastern Washington, including four years as presiding elder and pastor at Boise City and Canyon City, Idaho. He was trans-ferred to the Oregon conference in 1888, serving for 13 years as pastor in Astoria, Salem and Portland. For two years he was field agent for Willamette university and in recogni-tion of his services, was awarded the title of Doctor of Divinity. Seeking a change for his health, he returned to the Pittsburgh conference in 1901, holding several pastorates and building two churches in addition to taking a leading part in industrial work in which he was engaged when the slogan "safety first" first came into existence. 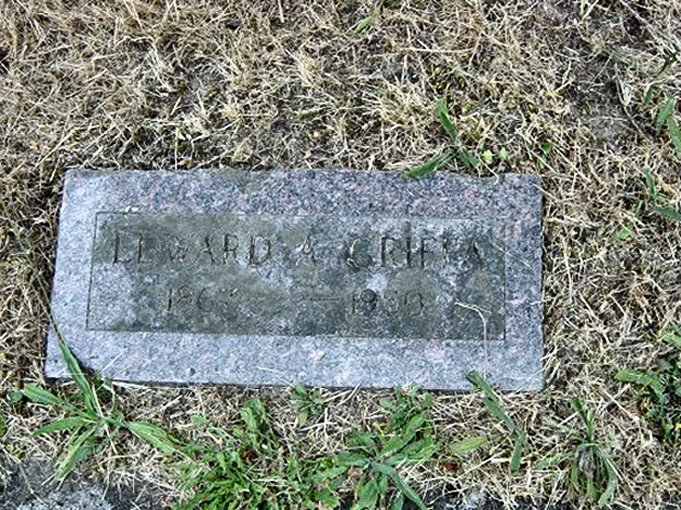 He led the fight for one day's rest in seven for postal employees while prominently engaged in the work of the Alleghany Sunday rest association, becoming general field secretary for the Lord's Day Alliance. "H.P. Grant, Real Estate Dealer, Dies--Herbert Perry Grant, Salem real estate dealer, was found dead Tuesday morning at his home, 1120 18th St. NE. He was 70. Marion County Coroner Charles Edwards said death was from natural causes. Family members said he had a heart illness. The body reportedly was found on a davenport by a milkman, Terrance Winston Hagel, 2294 34th St. NE, who investigated because Monday and Tues-day morning newspapers had not been taken in. 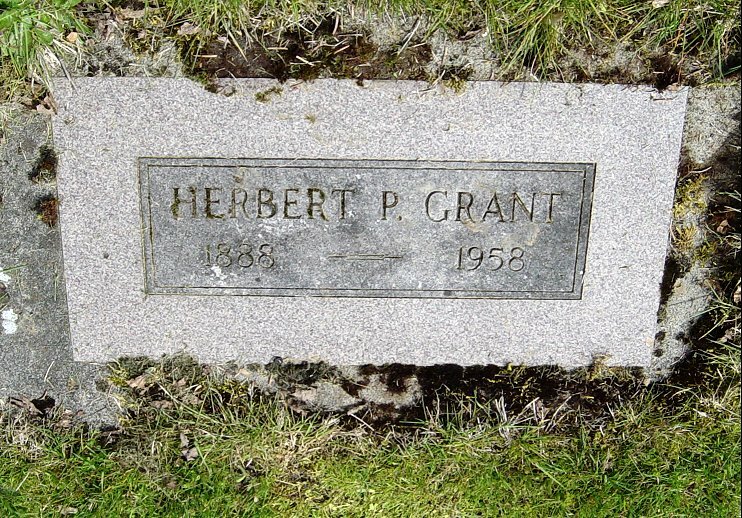 Grant was born in 1888 at Wilmot, Ohio, and came to Salem from Ohio in 1923. He was a member of First Methodist Church. He leaves his widow, Mrs. Sadie Grant, Salem; two daughters, Mrs. Elizabeth Krueger, Salem, and Mrs. Ruth Phillips, Stockton, Calif.; one son, Herbert Grant Jr., Phoenix, Ariz.; two sisters, Mrs. C.B. McClintock, Canton, Ohio, and Mrs. Ota Swan, Wilmot, Ohio; five grandchild-ren. "Sadie Pruitt Grant, Stockton, Calif., retired teacher and former resident of Salem, died Monday in Stockton. Born in Kansas, she lived in Salem from 1924 to 1968 and was a first grade teacher at Englewood School for many years. Surviving are daughters Mrs. Ruth Phillips and Mrs. Elizabeth Krueger, son Herbert P., sister Mrs. Bernice Cannon, and nine grandchildren, all in California. GRAY, Francis Irvin Chester "Paul"
"Paul Gray, 45, of Salem died Thursday. Cause of death was unavailable. Born and raised in General Santos, Philippines, he moved to Salem in 1964. He graduated from North Salem High School, worked as a cook, managed an import warehouse and then was a self-employed pool installation contractor. He enjoyed fishing, archery hunting, camping, cooking and martial arts. Survivors, all of Salem, include his parents, William and Remy Gray; brothers, Vincent Gray and Curtis Fisher; and sisters, Marlu and Susan Gray, Judy Fisher and Jocelyn Gran. "Late resident of 1295 21st St. NE, in this city February 23, at the age of 93. "Marcela Gray, 89, of Salem died Monday. 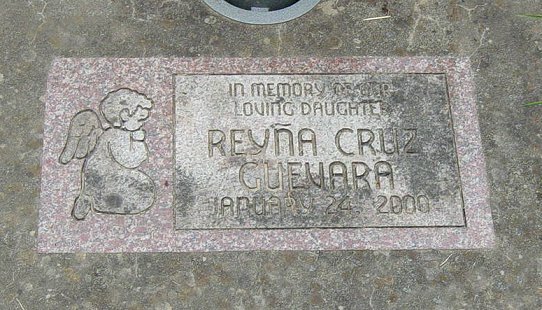 She was born in Cavite, Philippines and was preceded in death by a son and two grandchildren. Her husband, Chester, died in 1949. Survivors include her sons, William and Frederick Gray, Jack Graciosa and Richard Cruz, all of Salem and Thomas Gray of Renton, Wash.; daughters, Lora Homman of Amity, Eileen Bacheller and Vivian Gettis, both of Salem, Mary Buckley of Kent, Wash., Leila Arbogast of Tigard, and Elizabeth Catopat of Quezen City, Philippines; sister, Aurora Ignacio of Cavite; 36 grandchildren; 28 great-grandchildren; and one great-great-grandchild. Remedios (Remy) Gray, passed away July 26, 2013. She was born in Leyte, Philippines and was the oldest of nine children. She married her husband, William (Ed) Gray in 1954. She leaves behind her son, Vincent Gray; daughters, Marcela Gray and Judith (Gray) Fisher; Son in law, Curtis Fisher; grandchildren, Britni (Fisher) Hamm, Nicolas Gray, Nathaniel Gray, Nolan Gray, Reede Fisher and Caidyn Gray and her newly acquired grandson, Greg Hamm. She was preceded in death by her husband Ed and her oldest son, Francis (Paul). "William Gray, 67, of Salem died Wednesday. Cause of death was unavailable. 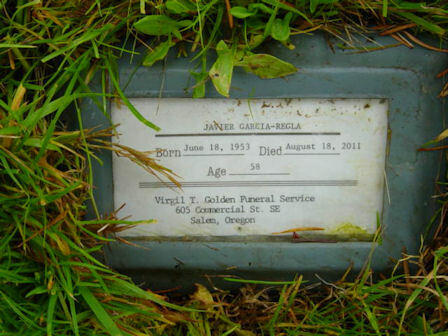 Born in Malate, Philippines, he served in the Navy and was a records keeper for the state of Oregon for many years. He was a member of the Knights of Columbus and he enjoyed fishing and hunting. Survivors include his wife, Remedios, whom he married in 1954; son, Vincent of Salem; daughters, Marcela Gray and Judith Fisher, both of Salem; brothers, Frederick Gray and Jack Graciosa, both of Salem, Thomas of Renton, Wash., and Richard Cruz of the Philippines; sisters, Lora Homann of Amity, Eileen Bacheller and Vivian Gettis, both of Salem, Elizabeth Catapaat of the Philippines, Mary Buckley of Washington, and Leila Arbogast of Portland; and five grandchildren. Visiting will be 10 a.m. to 7 p.m. and rosary will be 6 p.m. today at Keizer Funeral Chapel. Mass will be 10 a.m. Monday at St. Vincent de Paul Catholic Church, where he was a member. "SALEM - Daniel McKay Green died July 31, 2003 at age 52 after a 14-month bout with cancer. Dan was born and raised in Salem. He attended Baker and McKinley Elementary schools, Leslie Junior High and graduated from South Salem High School in 1968. As a child, he enjoyed Cub Scouts, being an acolyte at St. Paul’s Episcopal Church, baseball, and always playing the piano, beginning his lessons at age 6. He graduated from the University of Oregon in 1972 with a degree in Music Composition. After college, he toured with a successful rock ‘n’ roll band, the Wings of Freedom, for several years, then returned to Salem in 1977 to join the family business, Capitol Chevrolet Cadillac. Dan was truly loved by all who knew him. His remarkable sense of humor -- including a spot-on knack for imitating and skewering the pompous -- may have had something to do with this, but more likely it was simply the result of Dan’s genuine love for and acceptance of all people, from all walks of life. He was accepted by all, because he accepted all. Dan’s musical talent was legendary: classically trained but with a love for all genres, he was a wonderful pianist and performer, yet entirely self-effacing about his genius. Others may have taken the spotlight, but those who knew him -- and knew music -- understood that Dan was the soul and spirit of any group he was in. In music, in business, and in life, Dan was a trouper. Even during his last year, Dan never uttered a word of complaint, of anger, or self-pity. What most of us would call an ordeal, Dan referred to as “a new adventure” -- and he meant it. In short, that’s the kind of guy Dan was: whether you were headed uphill or downhill or around a curve, Dan was someone you’d like to have at your side. Dan is survived by his parents, Mary Lou and Lester Green; brother, Jim and his children, James and Elle; sister, Leslie Dinsdale and her sons, Matthew and Alex Casebeer, all of whom, inspired in part by their uncle Dan, have pursued their own paths in music. Dan’s wife, Sherre, died in 1996. "Lloyd E. Green, 70, of Monroe, OR, passed away peacefully on Monday, November 23, 2015. Lloyd's life story will be shared 12:00pm on Saturday, December 5, 2015 at the Bellfountain Cornerstone School, located at 25398 Dawson Rd, Monroe, OR, with lunch to follow. Born March 1, 1945 to Dollie Teel and Lloyd Green in Great Falls Montana, Lloyd was the youngest of five boys. At the age of 12, Lloyd relocated to Turner, OR where he attended Cloverdale Elementary and Cascade High School. Lloyd entered the Army in 1964 and was stationed in Germany as a bulk fuels specialist. He was honorably discharged in 1967 and returned to Turner, OR where he married Dorothy Bales. Lloyd worked at Boise Cascade Container for 30 years retiring in 2006. Upon retirement, Lloyd relocated to Monroe, OR where he lived for the last 9 years. Lloyd was predeceased by his daughter Tammy and son Steven. He is survived by his daughter Kathleen Sutton and her husband William; son Brian Green and his wife Abbie; his beloved grandchildren, Lexxs Hoffman and her husband Evan, Sadi Sutton, Calvin Bradburry, McKenzie Oconnor, and Andrew Green; his brothers Ron Green, Ray Green, and Lyle Cooke; and many nieces and nephews. "Sherri Green, 42, of Salem died Tuesday. She was born in Ocean Lake and lived in Salem most of her life. She graduated from McNary High School. She enjoyed gardening and animals. Survivors include her husband, Daniel; mother, Clo Edwards of Salem; sister, Sam Garland Gardner of Salem; and grandmother, Virgie Faust of Port-land. Tammy Green, 8-year-old Turner girl who had struggled with various illnesses for years, died Monday. Tammy had been hospitalized at Salem Hospital Memorial Unity for the past month. Her condition had been deteriorating since a trip to Disneyland last October. She had cervical fibromatosis, a hardening tumor in her neck. Her aunt said, `People who visited her in the hospital had given her money. She had accumulated $30." Her dad asked, `What do you want me to buy you?' She said, `Just buy me pink roses for my grave.' She loved pink roses. Mr. and Mrs. Lloyd Green, sons Steven and Brian and daughter Kathleen live on three acres at 12354 Summit Loop Road SE, five miles south of Turner. Tammy was a 2nd grader at Cloverdale Elementary School until illness forced her to quit. She had attended the Turner Freeway Assembly of God Church. She was born in Great Falls, Mont., but had lived all but six months in Oregon. The family home was close to where both her parents grew up. Her grandparents are Mr. and Mrs. Daryl Forman, Salem, and Mr. and Mrs. William J. Bales, Aumsville. Great-grandparents are Mrs. Alice Holodnick, Havre, Mont., and John Green, Dallas. "Green--At the family home three miles east of Salem, Wednesday, January 1, 1908, at 5 p.m., Mrs. Sarah D. Green, aged 72 years. "Turner--Anthony J. "Tony" Greiner, 18, of Turner, died Sunday in Chico, Calif., of injuries suffered in an auto accident. Born in Salem, he attended Cascade High School, graduated from McKay High School and worked at Stayton Canning Co. Survivors include his daughter, Miranda Lee, Turner; parents, Mr. and Mrs. Paul Greiner, brother, Peter, and sister, Tina Greiner, all of Turner; and grandparents, Mr. and Mrs. John Bennett, Bullhead City, Ariz., and Paul and Helen Greiner, Salem. m1. 1940 Paul Michael Greiner Sr.
"Mary Katherine Greiner, 17, 806 Thompson Ave. NE, died of cancer Saturday in a Salem hospital. Born in The Dalles, she lived in Salem the past 16 years. She was a student at North Salem High School. Surviving are parents, Mr. and Mrs. Paul Greiner, Salem, brothers, George, Vietnam, and Allen, Salem; sisters Mrs. Bonnie Landers, Tulsa, Okla., and Mitzy and Ada Greiner, both Salem; grandparents Mr. and Mrs. George Greiner and Mr. and Mrs. William Schanz, all The Dalles. "Paul M. Greiner Sr., 69, of Salem died Monday at Salem Hospital. He was born in Condon and grew up in The Dalles. He married Helen M. Schanz on Sept. 7, 1940, in The Dalles. He served in the Army during World War II. In 1953, he moved to Salem. He later retired as a union carpenter. He was a member of St. Joseph Catholic Church and Local Carpenters Union No. 1065. Survivors include his wife; sons, Allen J. and Paul M. Jr., both of Turner, and George W. of Jefferson; daughters, Bonnie H. Landers, Mitzy K. Ginther, Anita T. "Neno" Charpentier, and Ada M. Thiems, all of Salem; brother, Robert of The Dalles; sis-ters, Georgia Lousignont and Yvonne "Bonnie" Oades, both of The Dalles; 26 grandchildren; and six great-grand-children. "Death Claims Edward Griffa--Edward A. Griffa, a retired plumber who had lived in Salem the past three years, died Thursday at a local hospital. He was 79. Griffa was born Dec. 7, 1870, in Dayton, Ohio. He lived about 40 years in Oregon and resided recently at 648 Union st. Surviving are two sisters, Hannah Gardner, Salem, and Mrs. Amanda Clodfellow, Albany. "Mrs. Adeline Griffin, 61, died Tuesday at her home, 2785 Cherry Ave. NE, following a long illness. Before coming to Salem 10 years ago, Mrs. Griffin and her husband, Ward W. Griffin, operated an interdenominational home for boys which they founded at Renton, Wash. The home is still in operation as the Griffin Home. She lived most of her life in the Seattle, Wash., area and worked for Western Union for about 35 years. She was a member of the Trinity Evangelical Covenant Church in Salem. Survivors include, beside her widower, son Ward Allen Griffin, Yakima; mother Mrs. Mary Allen, Spokane; brothers Morton E. Allen, Spokane, and Chester Allen, Fairbanks, Alaska; sister Mrs. William Ritchie, Salem; six grandchildren. "Grilley--At the home of his son, Geo. M. Grilley, in Englewood addition to Salem, Oregon, at 6:30 o'clock p.m., Wednesday, February 4, 1903, M.B. Grilley, aged 96 years and 11 months. "Man Found Dead in Bed--Robert Groshong, 1434 Ferry St. SE, was found dead in his bed Wednesday. Estimated to be in his 50s, he had a heart condition neighbors said. He had been unemployed since his back was broken about one year ago in an auto accident at Portland, neighbors said. He had come to Salem since then. 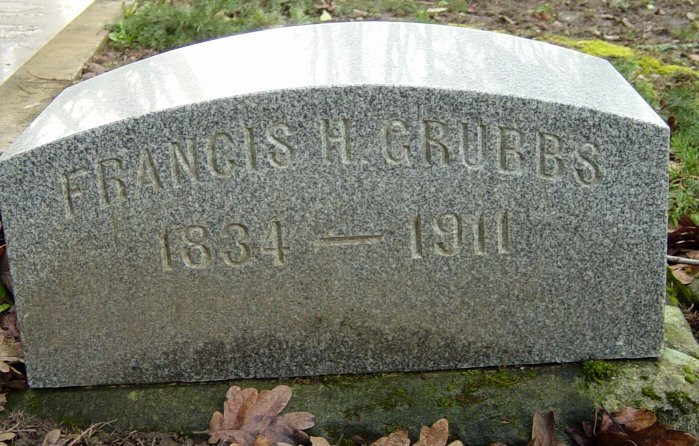 "Grubbs--Prof. F.H. Grubbs, formerly a resident of this city, but in recent years in business in Portland, died at the home in that city yesterday morning. "Albert Gruber, 94, Succumbs--Albert Gruber, 94, resident of Salem for 65 years, died Monday at the home, 4380 Auburn Rd. NE. He had been bedfast since breaking a leg last March. A retired carpenter, Gruber was born in Iowa Aug. 16, 1865. He lived at Tacoma, Wash., for a time prior to coming to Salem. He was married to Esther Hilton in Salem in 1897 and they observed their 50th anniversary in 1947. She died in 1952. He was a member of Seventh Day Adventist Church. Surviving are two daughters, Mrs. Edna Sloan, Salem, and Mrs. Clara Strandberg, Camas, Wash.; son, Ernest Bliven, Canby; eight grandchildren and 11 great grandchildren.